Small businesses that find themselves in disputes with customers are facing more pressure to resolve matters away from court. (According to the Federation of Small Business in this month’s First Voice magazine). 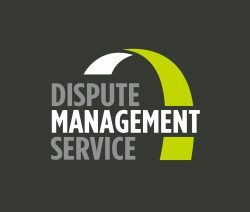 ProMediate makes it available to members of the Greater Manchester Chamber of Commerce through its new Dispute Management Service. Small businesses may find themselves with a difficult customer, supplier or distributor now and again. On reaching deadlock, you realise that you can’t go further without third-party intervention. Dealing with this scenario can be stressful, time-consuming and frustrating. This is where alternative dispute resolution (ADR) comes in, where parties try to resolve a dispute without going to court. Typically, it will take the form of mediation, where both parties agree to appoint an independent third party to facilitate discussion to resolve the dispute. Judges are encouraging parties to use this process, as they want parties to use court only as a last resort. As a result, when considering which party is responsible for the costs of a litigation case – especially in higher-value claims – a judge may take a view on a party’s blank refusal to participate in mediation. Sometimes it’s best to take a business decision to compromise rather than going through litigation. If both parties agree to mediation and the facilitated negotiation does not lead to a successful settlement, the parties can still approach the court. • The process is confidential, and useful where the dispute involves commercially sensitive information. However, because it’s confidential, you cannot use it as a message to your competitors about your willingness to defend your position. The cost of mediation can vary depending on the complexity and extent of the dispute. On average, parties can expect a cost of £500-£1,500 per party for a full day of mediation or arbitration. Unfortunately the small claims mediation service that is offered free in the county court as part of a monetary claim under £10,000 is unreliable as there are a limited number of appointments available and so it isn’t safe to assume that you will be able to mediate. Mediation can be arranged relatively quickly – in most cases within a month. This process is suitable where you have a claim that is close to a limitation period, as the ADR process stops the clock for the purposes of limitation for 8 weeks. If the parties agree to a settlement during mediation, the agreement will be signed by both parties and can be enforced through court unless the parties agree something else. Another alternative is online dispute resolution (ODR), a form of ADR that aims to facilitate the online resolution of contractual disputes between consumers in the European Union and traders over purchases made online. It allows traders and their customers to settle their disputes, especially cross-border disputes, out of court in a simple, fast and low-cost way. All businesses selling goods and services online to consumers in the EU must supply a link to the EU online dispute resolution platform on their website, along with the trader’s email address. Where applicable, they must include this information in their terms and conditions online. Sometimes it’s best to take a business decision to compromise rather than going through stressful and time-consuming litigation. Even where no agreement is reached, the parties usually reduce the number of issues in dispute. 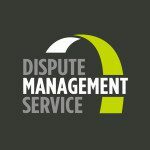 Why not try the GMCC’s new dispute management service and let us help you reach an agreement about your dispute.